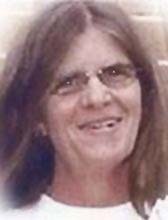 WATERLOO, IOWA - Debra Lynn Oldenburger Ahles, 47, of Waterloo, died Sunday December 3, 2006, from injuries sustained in a car accident. She was born March 25, 1959, in Waterloo, the daughter of Phillip and Bonnie (Fuller) Wildeboer. She married David Oldenburger on April 16, 1977, in Fredericka. They later divorced. She married Steven Ahles on January 16, 1997, in Waterloo. Mrs. Ahles was employed with Bertch Cabinets for 6 years. For the past five years she was employed with Omega Cabinets. She is survived by her husband, of Waterloo; two sons, Brian (Mandi) Oldenburger of Waterloo and Alan Oldenburger of Plainfield; two daughters, Shannon (Steve) Neidert, of Dubuque, and Cheryl (Casey Karstens) Oldenburger, of Waverly; a step-son, Ryan Douglas King, of Evansdale; three grandchildren: Alex Neidert, Kiyrah Karstens, and Jacob Henry Oldenburger; three brothers: Bill (Samantha) Wildeboer, David (Vicki) Wildeboer, and Roger (Sue) Wildeboer all of Waterloo; three step-brothers: Dwight (Vickie) Ryan, of Clarksville, Harvey (Hope) Ryan, of Dallas Texas, Sidney (Tangela) Ryan, of Washington; four step-sisters: Bonnie (Scott) Boike, of Ponca City, OK., Jeanette (Rick) Siebert, of Harvey, Dianne Ryan and Vicky Ryan. She was preceded in death by her parents; step-father, Vernon Ryan; and a brother, Lenny Wildeboer. Services will be at 10:30 a.m. Friday at Trinity Lutheran Church with burial in Garden of Memories Cemetery. Public visitation from 4-8 p.m. Thursday at Hagarty-Waychoff-Grarup Funeral Service on South Street.